The Seaford Museum has been called a jewel; one of the nicest museums in the state. It is very unusual in that volunteers have been responsible for saving and converting the town’s old post office into a fine museum. Everything from the concept and design, the construction of walls and cases, the written signage, and the gift shop are all the work of locals. It is truly the definition of community. 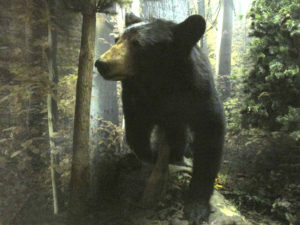 The museum depicts a professional level few museums ever reach with state-of-the-art air management and high tech fiber optic lighting, a variety of kiosks, and unique displays and interactives. Opened in 2003, the museum has thousands of local artifacts following a timeline of United States, Delaware, and area history. It begins with the area’s natural resources and the Nanticoke Indians, and winds its way through history to the 21st century with the world’s first synthetic fiber, a nylon spinning machine. 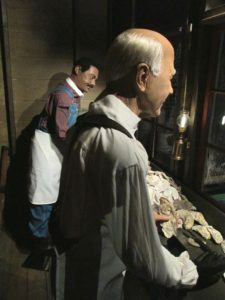 Other exhibits focus on early agriculture, shipbuilding, canning, the poultry industry, railroads, Black River Pilots, and the Nanticoke River’s connection with the Chesapeake Bay. Meet Patty Cannon, the greatest murderess in U.S. history. Long before women had the right to vote, she ran a gang of 60 people for over 30 years committing crimes in cities along the Atlantic Seaboard. She stole more than Jessie James and ran a successful gang longer than the famous Al Capone! Her gang was even bigger than “public enemy number one”; Bonnie and Clyde’s “Barrow Gang”. You can decide whether she was guilty or innocent. Or, spend time with Governor William Ross and his lovely wife, Elizabeth, see odd things like an antique bottle of ketchup, how the government spied on its postal workers, and much more. You will never look at history the same way again. 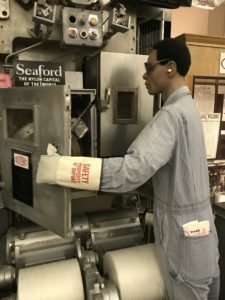 The Seaford Museum includes a changing exhibit gallery, a general information area, and a gift shop. 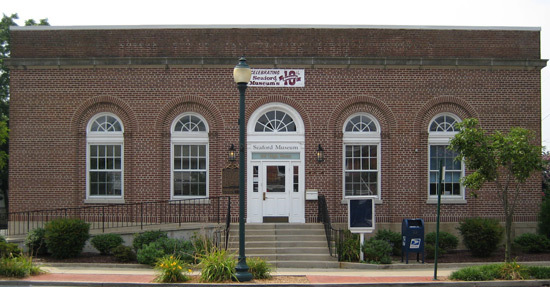 It is located in downtown Seaford on High Street in the restored 1930’s post office building. It is a treasure you will not want to miss.